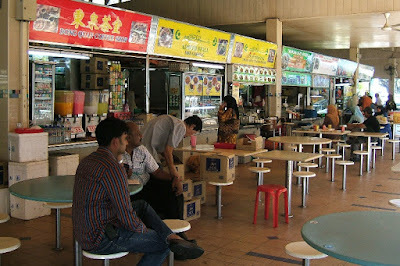 I go to a local market once a week or so to eat a hearty Asian breakfast of prawn or wanton noodles, topped off with a cup of kopi-si, coffee with evaporated milk (I suppose it's our version of skim). At that hour, the seats fill with two main groups of people: those grabbing a bite before heading out to work, or the elderly who are able to make their way to the market for a leisurely breakfast. We struggle as our children grow as if we were ever meant to keep them stuck to one phase. We get all upset when the adolescents figure out their lives as they must. We experience crazy tension and pull away when we join with another soul. We feel the consequence of time as our bodies alert us to joint pains and our minds' filing cabinets haunt us even as we fumble to find the key to unlock them and retrieve that folder labeled 'who did I meet the other day?'. This even though we know time and tide means we will move through these seasons, whether we like it or not. Why aren't we more prepared? When we do prepare, why aren't we more human about it? Astute social commentators have warned us that our modern world of machines and gadgets will strip some of our humanity away and there's plenty of proof of that: we replace people with machines, we expect people to operate like machines, we measure people the way we measure machines, by output... and studies today show that even our minds are being fundamentally changed because of how we are tethered to our machines. [a good person to read is Jacques Ellul - French, and prgamatic!]. It looks like we won't beprepared still -- because we refuse to master the changes; but let them master us instead. 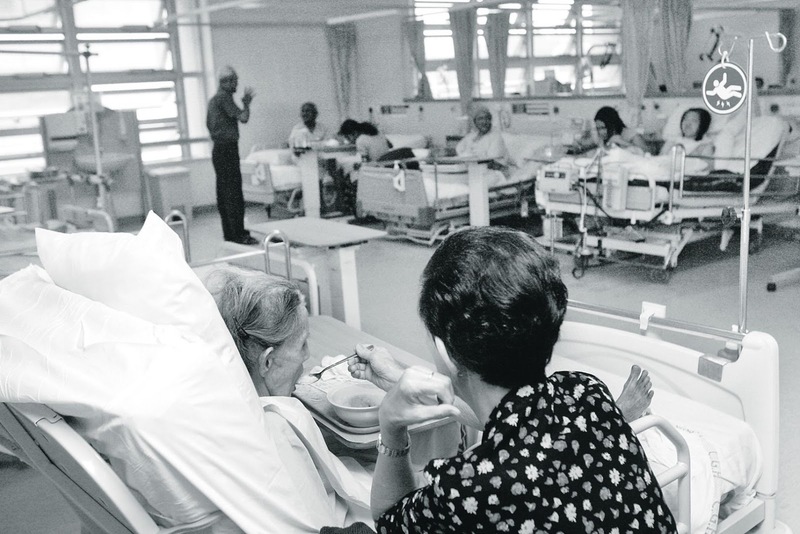 Hospital talk is inevitable when we discuss the old. Her father was of robust health until an aneurysm slayed him. The medical prognosis wasn't cheerful and the hospital staff were dismissive and operated on the assumption that what she needed to do was quickly hire a live-in maid to care for the dad who will basically be dependent and subject to a diminished quality of life. But it was her father. She knew him. She knows what matters to him and she wants him to live as well, as he lived long. There are those, the hospital tells her who are abandoned. The family becomes uncontactable. What makes people abandon each other? I return home to read my Scripture and I am in the Good News according to John. 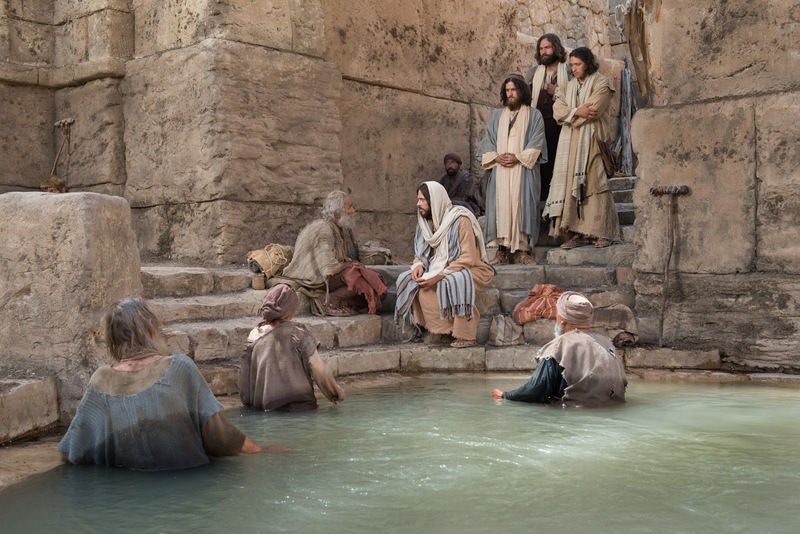 Jesus was near a pool where many invalid, lame and blind were gathered, for they hoped to get a dip in the pool's healing waters. Jesus singles out a man who he knows to be crippled for 38 years and asks him, "Do you want to get well?". The man explains his difficulty. Of course he wants to be well but he cannot get to the pool without assistance. I have heard many reactions to this story. Some blame the man for not being pro-active enough. Others suggest that he is one of those abandoned for his sinfulness. All these may be true; but let's read on to find the focal point of the story. Jesus immediately spoke an authoritative and life-giving word and the man; probably feeling the healing, obediently takes up his mat and walks away well! Jesus is not lauded for this act of mercy. The man did not even take notice of Jesus' features because he was unable to tell the religious leaders who had healed him! Instead, Jesus was told: according to the system laid down by Moses in the law, you have sinned to work and caused that man to work, carrying his mat. 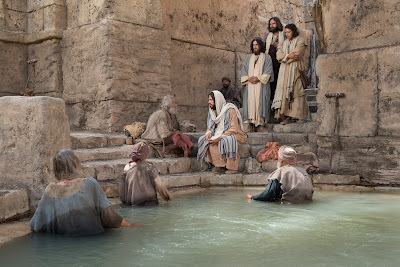 Jesus obviously knows the law, he explains it extensively in the rest of the chapter; but he chose to reach out to this crippled man and offer him wholeness. I thought back to that ancient law: remember the Sabbath day by keeping it holy. 'Holy' in the Bible is used on humans as an act of setting something apart; making it distinct, away from the regular, usual, typical. Jesus chose that day to do something out of the ordinary: he refused to let the day get typical. He opposed the forces that kept that man crippled for 38 long years. He disrupted the day's order of business, social milling and religious observances to set a man free to live, and to have a chance to thrive. Perhaps that is key to our thriving as a race. If once a week, we intentionally disrupt our self-absorbed routines at building our little empires of comfort, success and relief; and sought to really live. If we considered where we and those we know aren't well, alive or thriving; and act out of the ordinary about it. Will families not be revolutionized by a weekly time of heart sharing, prayer and serving others? Will our work-life not be revolutionsed by pulling away from the politics and grasping to a practice of empathy through prayer and caring actions? Will our systems not be revolutionised if we introduce small and large ways to disrupt the usual faster, more, bigger; and choose intimate conversations, active listening, even slowly chewing our food? A weekly habit of being slower, more intentional, more focused, can create within us a capacity that cannot be otherwise cultivated in our daily rush: the capacity to thrive as humans; full of creativity, passion and compassion. And those of us who are children of God? Why not take a piece of his heart the way Jesus did and walk into the crowds, noticing those who are suffering, struggling, yearning - and risk a little backlash - to bring hope? Yes, this weekly habit could bring about a deep sea change in your life and in our world. This is a lovely, thoughtful account of finding Sabbath as the answer to our searching through busyness to find a place of hope. Thanks for sharing it with me Jenni. I'm so glad you are part of the Sabbath Society community. Thank you Shelly! I'm so glad you came by. Bless you for stoking this revolution!